World renowned Liberty Horse Performer & Trainer and star of the acclaimed Cavalia, Sylvia Zerbini returns to Horse Spirit Ranch. 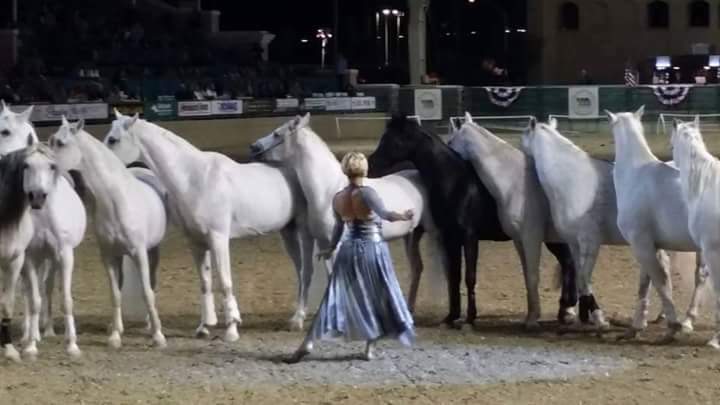 Sylvia orchestrates every movement of 8 to 10 gorgeous white Arabians through body language and voice control. 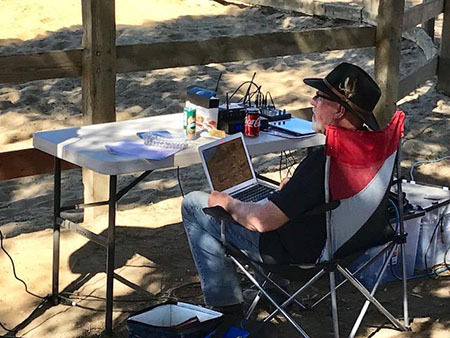 She has dedicated her life to communicating with the horses and teaching them to perform in a phenomenal manner. Learn how to communicate with your horse using body language. 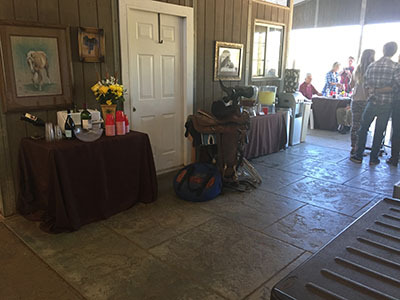 “Beyond the Stick” Liberte Clinic will teach you how to use your body posture, eye contact and voice cues to achieve the direct response that will transform your relationship with your horse. 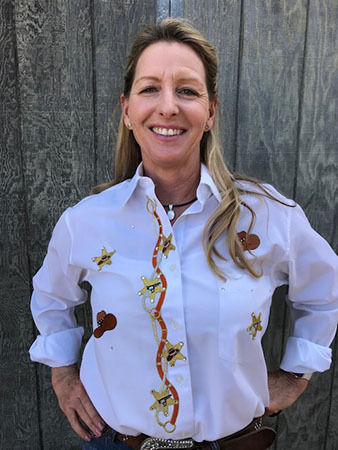 Silvia uses her expertise to work with you and your horse to connect the two of you in a way you never imagined possible. PayPal accepted: lynne@horsespiritranch.net *REGISTER NOW! SPACE IS LIMITED!!! B. Non-Participant Fee - $65 one day, $125 two days: audit one or two full days of instruction. Clinic Non-participant registration includes 2 meals, (a light breakfast, catered lunch),seating, snacks, beverages. Registration & Payment due NOVEMBER 1, 2018. See Sylvia in Action by following the links below. Our soundman David and his wonderful system. Just paid the clinic so much better. 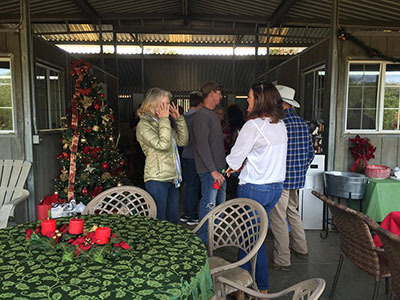 Christmas at Horse Spirit Ranch. 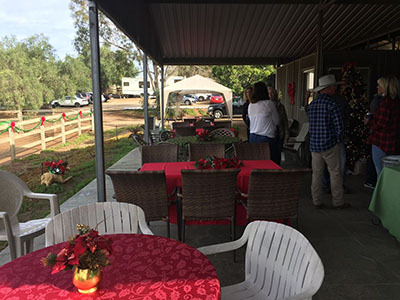 Just one of the events at Horse Spirit Ranch.